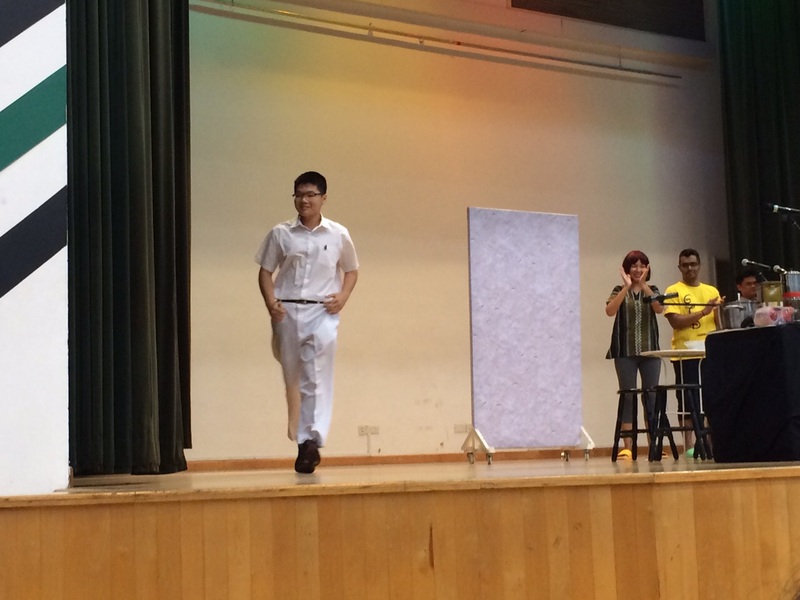 In conjunction with Racial Harmony Day, a forum theatre performance was held during for the Year 5 assembly– an attempt to promulgate the reality of multiculturalism. By presenting an interactive mode of theatre, the play sought to engage us, the supposed disinterested youth, in the resurfaced feud between Indian and Chinese neighbours over a mere pot of curry. To this end, they largely succeeded as the play generated some hype when a student stepped up to resolve the conflict with unsurprising ease – kudos to the student for showcasing the much-lauded diplomacy that spelled success on the school’s part. However, very different things can be said of the play, whose portrayal of a multifarious social issue could use more discernment and tact. The conflict was resolved, the mediator rewarded. The play would have done well to have just stopped there—there is beauty in simplicity—for its message of diplomacy had already been conveyed. However, the play proceeded to tackle a subject much grander and much less indigestible: multiculturalism. Only then, did the term “prevention” raise some confusion, for there is something odd in trying to “prevent” an inherent social issue. Looking beyond its inappropriateness, the use of the term also surfaced presumptuous, free-sized approaches often adopted in dealing with critical social issues. Our successful neighbour walking away triumphantly having mediated the conflict to its resolution. To be fair, in one short hour, it is quite impossible to incorporate racial prejudices, social-cultural perceptions, etc. into an informative play seeking not to educate, but to disseminate. The result was an entertaining, but reduced storybook summary of a complex issue. Skeptics identified the message to be not about multiracialism, but yet another poorly-disguised paternalistic attempt at trying to ward teenagers, who should have known better, from the perils of the internet. Such cynicism is not unfounded, for the pertinent question of “at which stage can the conflict be prevented” very well warranted an answer of “early values education”– intervention which should have occurred through childhood education, effectively executed. That is, during the child’s cognitive developmental phase, before said child develops an impregnable cynicism, a fully-fledged world-view, and constructed perspectives.Instead of tackling the root cause , we were repeatedly told that in preventing conflict arising from failures to reconcile understandings, the apt response is to put your phone down. Indeed, when dealing with issues of such complexity, the simple solution is to prevent the disruption of the status quo. Misunderstandings lead to conflict, and they are often construed upon existing prejudices. To effect real change, weeding out such sentiments seem to be the only option. Slow, unpopular, yet sustainable is the way to go. Nevertheless, sensitive issues remain taboo. Thus, below the appearance of our prosperous garden, weeds thrive, and their presence shall remain unacknowledged. 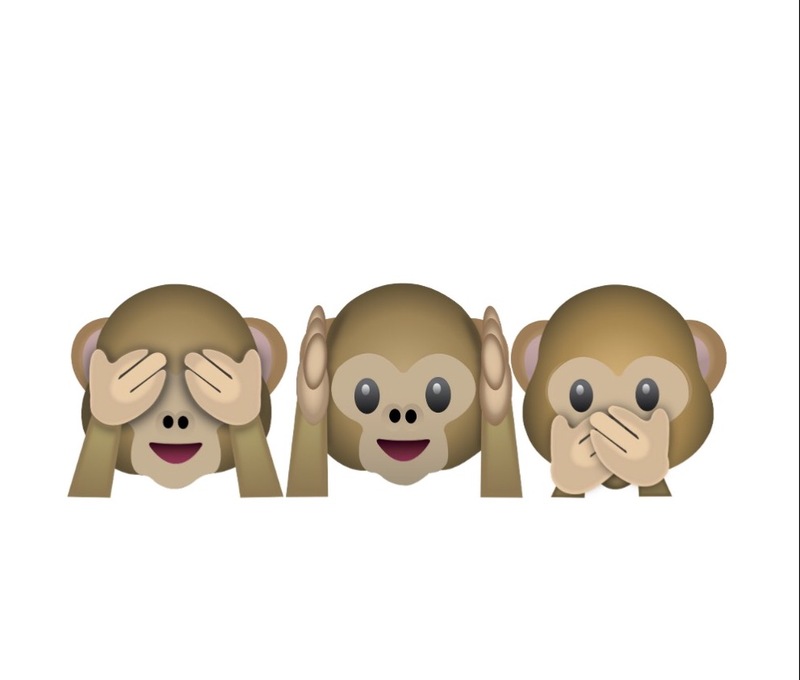 When simple, shallow solutions are all we take, does this reflect a “see no evil” attitude that escapes the problem? Are we not to be trusted with sound value-judgments in the case of an open discussion? Either way, for an issue critically in need of reflection and discussion, we are told to stay put, or to put out the fire only after it starts. However ostensibly: social harmony has been preserved, but fear and displeasure linger. Still more, humour, distastefully executed, only served to deepen the fissure. For certain, it has stirred feelings of intense discomfort among those more in touch with their Chinese roots. Most had found the delivery of an “indigenous” Chinese accent trying for the ears. The actress tried, but it still sent shivers down the spines of any Chinese teacher and all native acquaintances of the language. Her accent, to the discerning ear, consisted of a wide range of the poorer pronunciations of Asiatic English. Sentiments afterwards ranged from an assessment of the play as unjust to a very personal outrage. While it is one thing to have fun with a bit of Chinglish, judging from the responses, the play straddles the line between good-sensed humour and provocative mockery. Observers were also quick to pick out the stereotype in characterisation for the Malay man: aggressive, quick-to-anger, thuggish. If the objective for the play was to encourage understanding, it can certainly do better than this. Ultimately, caricatures aim to associate character with their traits: Little Miss Bad is naughty and mischievous, Little Miss Bossy loves to tell everyone what to do, and Little Miss Mainland Chinese speaks with terrible grammar and hates curry. While such forms of portrayals are apt in making characters indelible, it should not risk its relevance in approaching the very issue that must be stanced against stereotypes. It is poignant to note that this mistake is not a singular negligence of this one production company, but most of the local theatre scene: Burlesque humour at the cost of the central message of the play. Race has always been a landmine issue in Singapore which requires careful handling: a practice that is omitted in the brutish depiction of stereotype-charged characters observed in the play. On certain moralistic grounds, their well-meaning intentions deserve plaudits. However, it is such ingenious planning that went into the writing of these characters that spelled doom for real inter-culture understanding the play desperately needed to have. Neglecting the complexity of personalities, a singular narrative of racial conflict had its specifics scrutinised in order to provide what was intended to be a better view of the universal homogeneity of racial conflicts, gratuitously assumed. The merit and value behind its message derived entirely from the different races assigned to characters . In the context of the play, a mediocre storyline, one with a rising climax (conflict), a resolution, and a happy ending, was made to carry a message about how we must be patient in dealing with our neighbours of other races, lest conflict arises and newspapers are involved. We can also see how the problem arises from failure in diplomacy, or perhaps just in a breakdown of communication. The problem, as it is presented, could be easily resolved by a third-party. 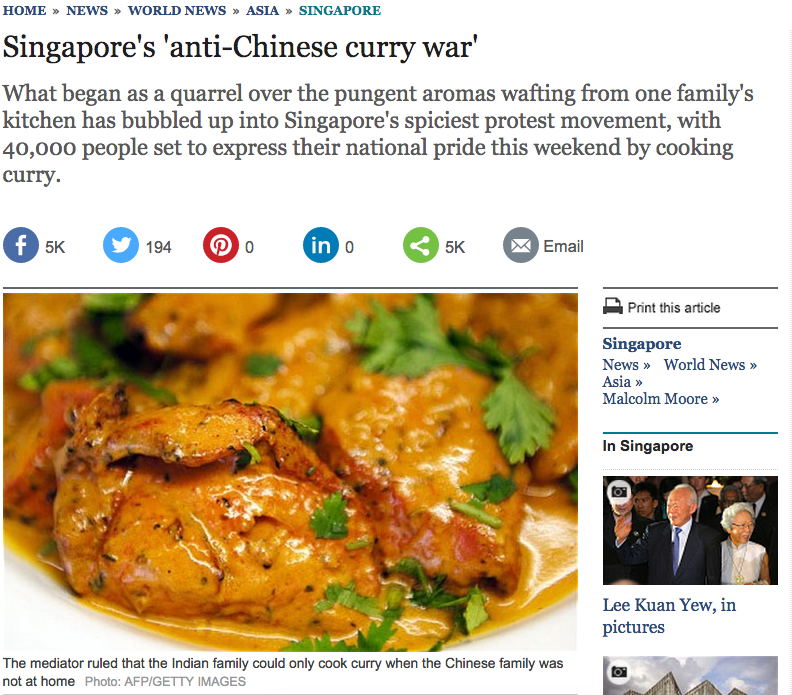 Now here’s another thought: what if the Chinese in the picture is now criticising the noise of a Malay wedding held in the void deck? Halt the weddings! Logout of Facebook! Certainly, a mediator has no place in this story. Then, at which stage can this issue be prevented? Change that scenario once more: what if it involves an unrepentant Angmoh man flaunting his wealth and hence raising ire of netizens? Again, factoring in personalities of players involved, there will be no apparent solution; in fact, there are no apparent parties to unleash the forces of diplomacy unto. Responsive measures to address social problems seem to work fine if the assumption that the nature of possible conflicts hold constant, which often is not the case. We ought not to let simplified stories blind the reality of the situation, or mute our discussions. Any views and opinions presented in this play are solely exclusive to such a circumstance, involving such individuals. Any resemblance to persons, living or dead, is purely coincidental. Success of resolution for illustration purposes only. The “Intercultural Divide” is often a censored topic. At times, it is brought out to the light and then hastily shoved back to the depths of the cupboard. This has its consequences: the creation of a superficial understanding of the situation that expands the room for discrimination. Real change will be gradual, and definitely painful. But half-hearted attempts at ostensible coverage of the issue only serves to hamper progress. The play is probably a good gauge of the parameters of open discussion society allows on the topic: brief, and deeply rooted in a fear to make a real, bold statement about such a volatile issue.